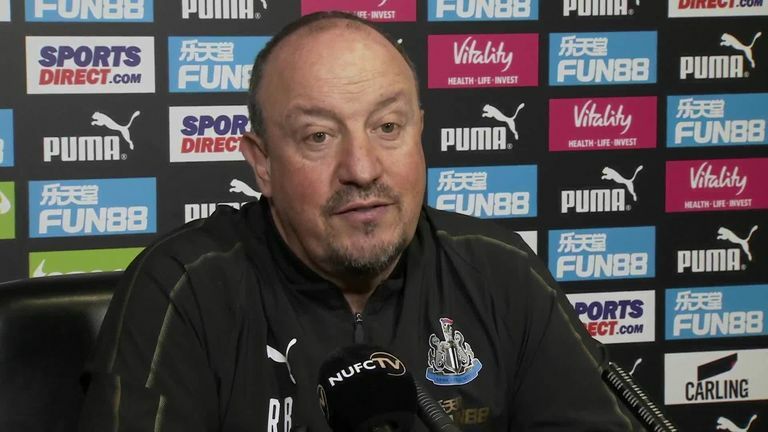 Newcastle manager Rafael Benitez hopes a recent upturn in form will not lessen the club’s appetite to invest in new signings. After 10 league games without a win, back-to-back victories have lifted Newcastle to 14th in the Premier League, a point above the relegation zone with seven points from their last three games. The Magpies will look to make it three wins on the bounce when they travel to Burnley on Monday, live on Sky but, despite a marked improvement in results, Benitez feels the squad should still be strengthened in January. "We cannot stop winning because we have to do a good January window," the Spaniard said. "I would like to go into January 1 with a lot of wins. "Always January is quite difficult. It's not a question of how much - it's a question of finding the right players and, if you see a player you like, that's when you talk about what you can do. "It's quite a difficult window. I always say the same because the top-class players are normally playing in the Champions League in the top teams and it's very difficult for them to change." Benitez revealed the club are targeting new arrivals but insists the more immediate aim is to maintain momentum and confidence within the squad, as the Premier League returns from a two-week international break. "We started walking, now we are running and hopefully we can sprint," he said. "It doesn't matter what you do, it's what you have to do in terms of improving the squad. I always say it's a long distance race. "We are working on players and working on names, but at the same time we have to keep winning. "As soon as you start winning games everyone can see what you have done is positive and hopefully we can keep doing the same."